For filling voids in decayed wood, E-Wood is the perfect product to use. 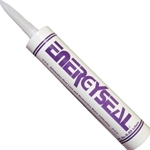 E-Wood is a two component epoxy wood putty that may be used to fill in wood voids. It can be textured to match the appearance of the surrounding wood. Hardened E-Wood filler can be sanded, shaped and stained. Comes in 32 oz. container.